"you do a burger blog, have you been to MEATLiquor"
Rather embarrassingly the answer to this until Monday was no, but I have been now, question was did it live up to MEATWagon and MEATMarket both of which had received the BA gold stamp of approval. The earliest I can get there from work is 18:30 and I had heard there is usually already a big queue, so I guess the thought of this has delayed the inevitable trip. 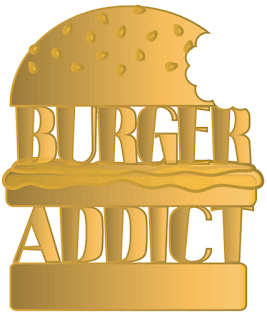 Just a few minutes walk from Bond Street station, I met MBA(Mrs Burger Addict) bang on 18:30, no queue just the smell of meat wafting down the street. In we went and within seconds sitting in the middle of the restaurant on a huge round shared table. Having both seen so many reviews and pictures it felt like we had been here before, we hardly needed a menu as knew what we were ordering, and for the first time on the blog it included a chicken burger; a dirty one. They smelt like they would be too spicy, they weren't they were heavenly. MBA actually told me to slow down eating them but if I had been given a bottomless bucket and been sent on my way I would have been a happy man. Seriously addictive and seriously tasty. 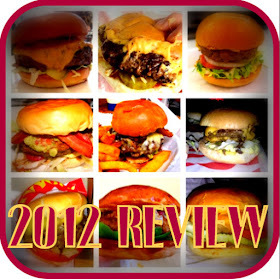 I've already blogged about the Dead Hippie so will only review the Bacon Cheeseburger and the Dirty Chicken burger. MEAT - Same patty used in the MEATWagon cheeseburger and identical to previous experiences. MEAT continue to deliver a great tasting and textured patty. TOPPINGS - A style of bacon that I hadn't seen before, it was its own thin patty - I loved it, for a burger this is a great choice as too many times the bacon is hanging out of the burger with stringy fatty bits ruining the bite. Flowing cheese oozing into the patty and catching on the pickle, lettuce and onion sitting on the bottom bun. A great burger which despite its simplicity does still give the wow factor. A chicken burger review, the first non beef burger review for the blog. MEAT - Well it wasn't beef but it was unbelievable! A humongous deep fried chicken was placed in the bun, it had a soft crisp on the outside, moist chicken on the inside and bags of flavour. Miles too big for the bun but this is street food, its not meant to look perfect, but it was so tasty the bigger the better. TOPPINGS - Lettuce, mayo and red onion. Most of the time I've had a chicken burger in the past the mayo has overwhelmed the chicken but this didn't happen. The red onion and lettuce both had a great texture and the onion didn't take over. I feel slightly strange saying this but...The Dirty Chicken Burger blew my socks off with how good it was. The surprise element of this made it the highlight of the night. SIDES – We ordered some Slaw which was decent but the onion rings that were on other tables I would go for them next. We shared a peanut sundae to finish the meal. I am not much of a liquor drinker, beer and water is me, but I couldn't come here and not try at least 1. The Negroni was mine the Henrietta Fizz and Boomting were MBA's. They were a nice change, but the sip I had of the Boomting I would definitely recommend, like an alcoholic Lilt. So all the current MEAT establishments visited, and I have loved them all. We left just after 8'o'clock, the bar area was packed with people waiting to sit down and at least 30 people queuing outside, this is on a rainy Monday night which is incredible. 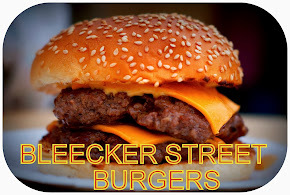 They tick all the boxes I have for a burger joint, it is American street food at its best. When writing this, I read that they are expanding again and opening in Hoxton, and rumour has it will take reservations! There's no stopping them. I don't think you would ever get through all the cocktails on your list! I really like the buns that the MEAT guys serve up. They are unique and manage with ease the unending juices that flow from the patty and toppings. u guys have great fun wonderful.